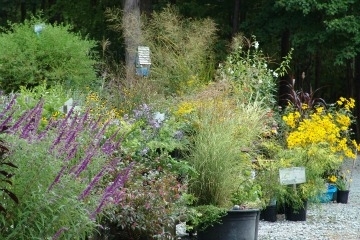 Niche Gardens is a retail and mail order nursery, specializing in nursery-propagated wildflowers, perennials, ornamental grasses and unusual trees & shrubs. Our display gardens include sun & shade areas, a medicine wheel, and a bog. Our emphasis is on the propagation of native plants and getting them out there to home gardeners here in NC and nationwide. We're open to the public year round -- see our website for hours. Natives grow wild!